How many times has someone told you "Thats a great idea! You should make it into a reality!!" But if it were so easy to make your business ideas into reality everyone would do it. In today's fiercely competitive marketplace requires us all to either convert our ideas into a reality, or join hands with others to help covert theirs. Regardless of the required investment of time and money, it's never an easy task. Only you understand your idea or the dynamics associated with it. To build on your idea, the journey will require you to learn about yourself, your consumers and your purpose- more than anything else in your career. 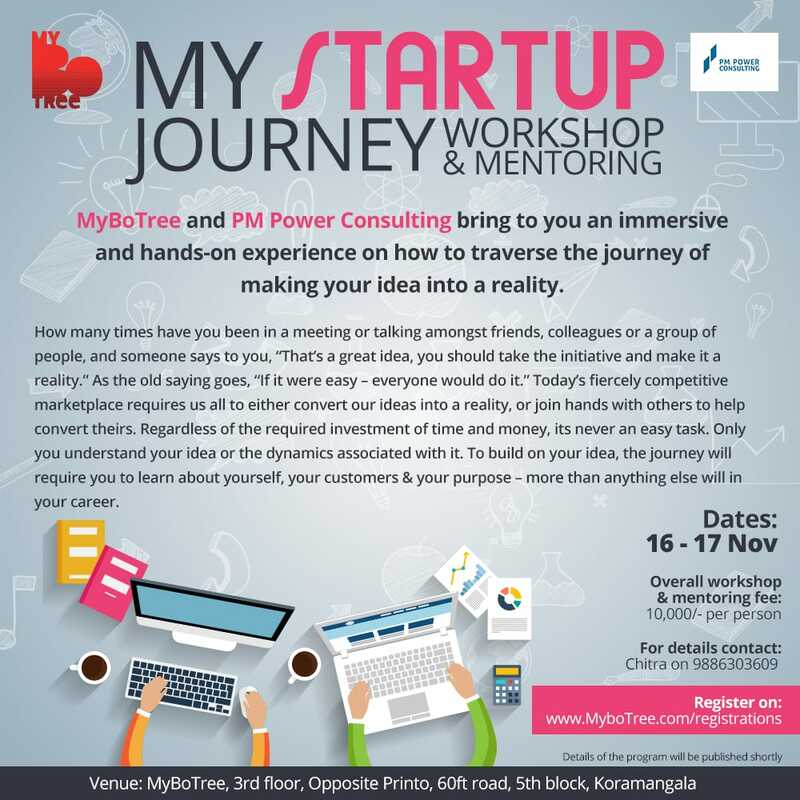 Join MyBoTree and PM Power Consulting as they help you navigate your personal journey.